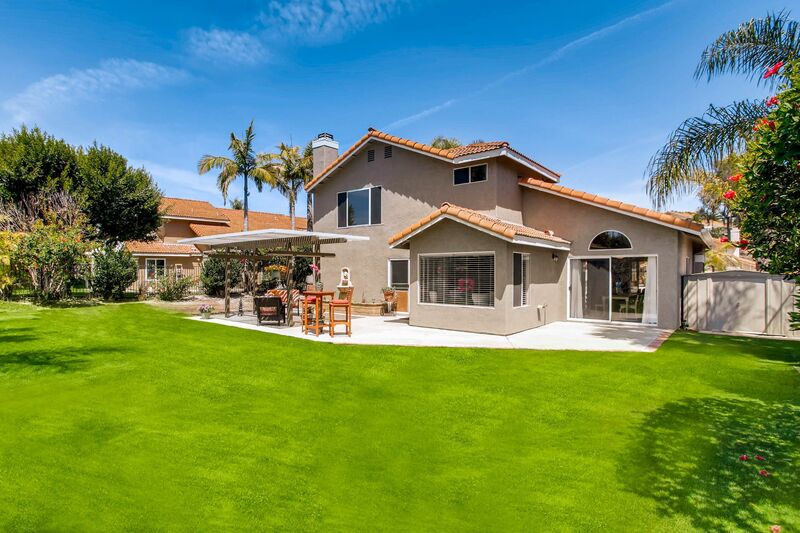 INCREDIBLE panoramic canyon views situated in the highly sought after Pacific View Community. Close proximity to the I-5 & 78 freeway and within 5 miles to the beach close to shopping. Gorgeously landscaped lush lawn. Desirable open floor plan. Kitchen includes premium stainless appliances and granite counter tops. Manufactured wood flooring in both living/family rooms. Brand new designer carpet throughout the upstairs hallways and bedrooms. Spacious en suite master bedroom looking out to lush canyon views. Large lot with pristine landscaping and serene surroundings. No HOA fee's & Priced to sell! Sellers will consider offers between $679,000 - $739,000.